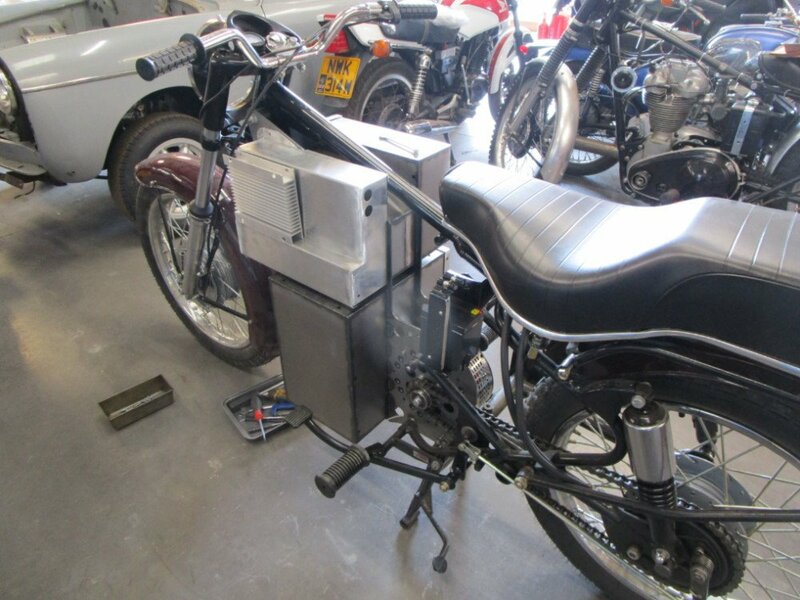 With the planned Land’s End to John o’Groat’s run fast approaching, we called in to see Fred at Spaven Engineering to see how he’s getting along with his all-electric Enfield, the Charging Bullet. Since our visit last month, the bike has been stripped right back for painting and powder-coating ahead of the final assembly. The only evidence of the hard work to date are shelves of batteries and electrical gubbins. 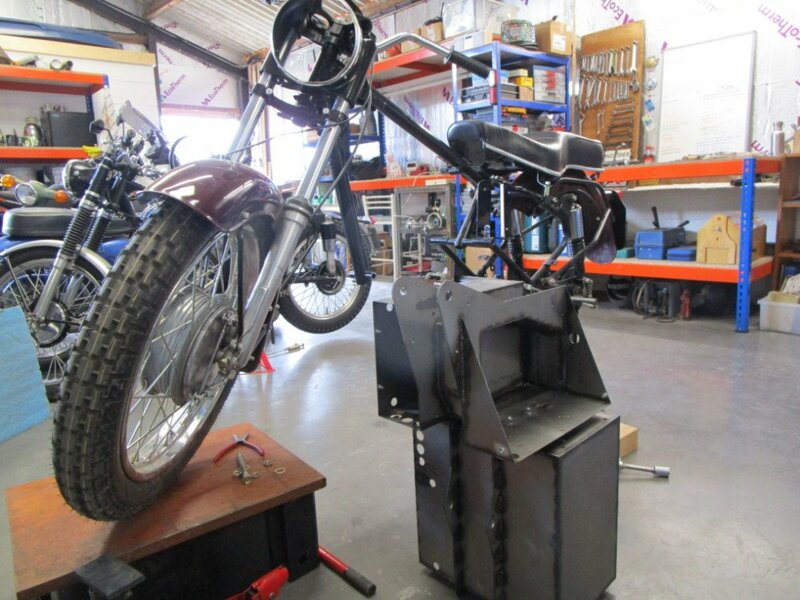 Quite a few of the smaller parts have been finished now, such as a set of aluminium covers for the various battery boxes and the vital homemade ‘state of charge’ meter (the finished bike’s fuel gauge) sits on the bench awaiting one final resistor. To keep everyone up to date on the project Fred has just launched Instagram, Facebook and Twitter accounts. There has also been a lot happening outside the workshop and filmmaker Finn Varney who is documenting the build and long distance adventure, has been back getting the final shots for the next short film. If you would like to support the making of this film (and receive some exclusive Charging Bullet goodies in return) check out the crowdfunding kickstarter right next to the film. As Fred rides the length of the country he will be visiting fellow engineers he has met while researching and building the bike, and filming their projects to show how much progress is being made in cleaning up our transport infrastructure.